UPDATE 4/10/14: Indian authorities have asked regional police and the public to help identify the origin of the two Dvarapalas that Kapoor sold to the NGA. Last week we revealed documents suggesting the $5 million bronze Dancing Shiva purchased by the National Gallery of Australia in 2005 had been stolen from an Indian temple not long before. The story made immediate waves. You can find media coverage of our scoop here and here. Jason has a story in the June 11th Los Angeles Times on the case. We’ve also shared info with Michaela Boland, the national arts writer at The Australian, who has published additional material there. As promised, here’s information on four more objects the museum acquired from Subhash Kapoor, whose Manhattan gallery Art of the Past has been selling ancient art to museums around the world since 1974. In 2005, the National Gallery of Australia purchased a pair of 15th century stone Dvarapalas from Kapoor for nearly $500,000. Kapoor provided ownership records for the pair stating they were purchased by a New York collector in 1971 from a gallery in Calcutta . Kapoor included what he claimed to be an original receipt from the gallery. Digital images sent to Kapoor, however, show the statues sitting on a dirt floor, propped up by a brick with a white cloth hanging behind them. Sources say the images were taken by Indian smugglers and sent to Kapoor via email in recent years. In 2006, Kapoor sold the NGA an 8th century sandstone sculpture of Nagaraja, the Serpent King, for $337,500. An ownership document supplied by Kapoor states the Nagaraja had been in a Japanese private collection since 1969. In 2008, the NGA acquired a 19th century monumental brass Alam, or Islamic processional standard, from Kapoor for $195,000. The dealer provided a document claiming a diplomat from New York had purchased it in Delhi in the late 1960s. Digital images allegedly sent to Kapoor by smugglers, however, suggest it was in India in 2006. The National Galley of Australia has not responded to multiple requests for comment. Perhaps none is needed? ∙ checking the extensive records produced by the Archaeological Survey of India. The steps were clearly not sufficient to prevent the museum from repeatedly acquiring recently looted antiquities from Kapoor. They raise several questions: Does an Art Loss Register certificate for unprovenanced antiquities carry any meaning? If not, as many experts say, why is it continued to be offered evidence of due diligence by auction houses, dealers and museums? Why did the museum merely confirm the address of the previous owner, not contact him? 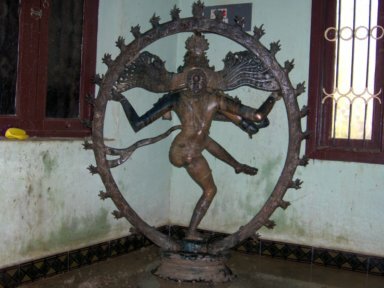 When the Tamil Nadu Idol Wing website posted an image of the stolen Shiva in 2009, months after the NGA acquired the statue, did the museum contact authorities or do anything proactive to determine if their statue had indeed been stolen? And who was the Chola bronze expert in India who was consulted? The statement concludes: “At this point the Gallery has been given no substantiated evidence to affect its belief that it owns a genuine item with proper documentation for its history of ownership and which was acquired within accepted museums standards.” Really? The Australian case holds lessons for all museums that acquire ancient art. The “well regarded” dealers you do business with may someday end up like Kapoor. When that happens, how will your due dilligence efforts look in hindsight. In particular, good faith museums in possession of purported ownership histories from Kapoor should be actively investigating the true provenance of those objects — and making the results public. This entry was posted in News and tagged Art of the Past, looted antiquities, Michaela Boland, National Gallery of Australia, Ron Radford, Subhash Kapoor, The Australian. Bookmark the permalink. For some reason, we cannot open some of your sites in India and do not know if anything can be done at your end. Thank you so much for chasing these terrible crimes. We really appreciate your work. Maybe his good’s came from Belgium .. where import control is very relaxed in to the US .. US customs are aware of the lax attitude of their counter part in Belgium .. more reason to check any thing from there ..
HOW IS IT POSSIBLE THAT KAPOOR HAD NON OF THESE PROBLEMS . If you investigate … go in to this direction .. but maybe you don’t have the balls ??? US CUSTOMS AND THE INTERNAL REVENUE ARE GOD .. With one difference … God you can not bribe !! !